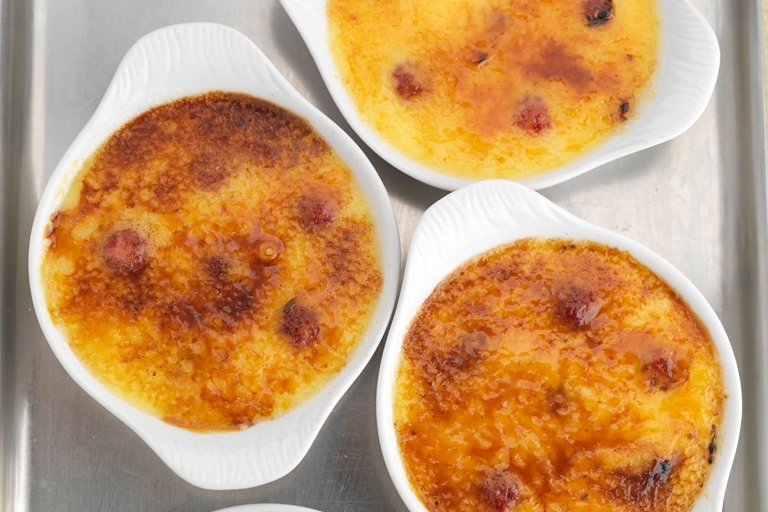 A good crème brûlée recipe requires you to make the custard from scratch – but it is well worth the effort, particularly with Geoffrey's easy-to-follow recipe from the Sunday Herald. A classic French dessert gets a floral lift here as Geoffrey Smeddle adds a touch of lavender and fresh fruit for a perfect dinner party dessert. Geoffrey Smeddle, proprietor and chef of The Peat Inn in Fife, started his career working for Herbert Berger at The Café Royal and for Christopher Galvin in London. He then sealed his reputation as one of Scotland’s top chefs by opening Terence Conran's Etain, in Glasgow.